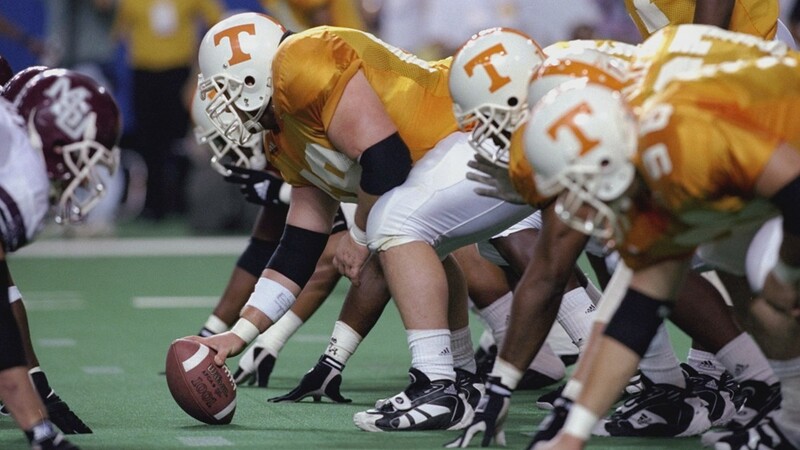 5 Dec 1998: General view of the offense for the Tennessse Volunteers in action during the SEC Championships against the Mississippi State Bulldogs at the Georgia Dome in Athens, Georgia. 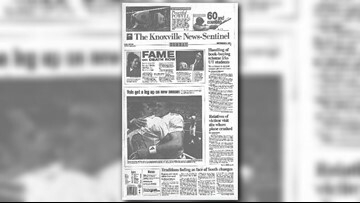 Tennessee defeated Mississippi St. 24-14. 5 Dec 1998: General view of the defense for the Tennessse Volunteers in action during the SEC Championships against the Mississippi State Bulldogs at the Georgia Dome in Athens, Georgia. Tennessee defeated Mississippi St. 24-14. 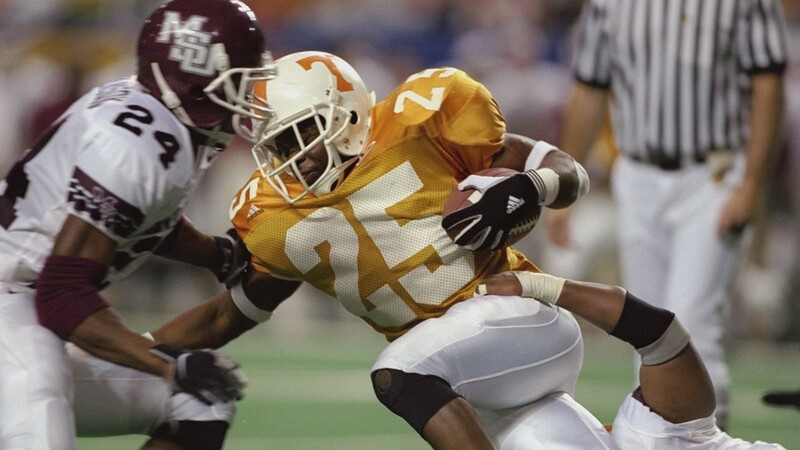 Running back Travis Stephens #25 of the Tennessse Volunteers in action against cornerback Kendall Roberson #24 of the Mississippi Bulldogs during the SEC Championships at the Georgia Dome in Athens, Georgia. Tennessee defeated Mississippi St. 24-14. 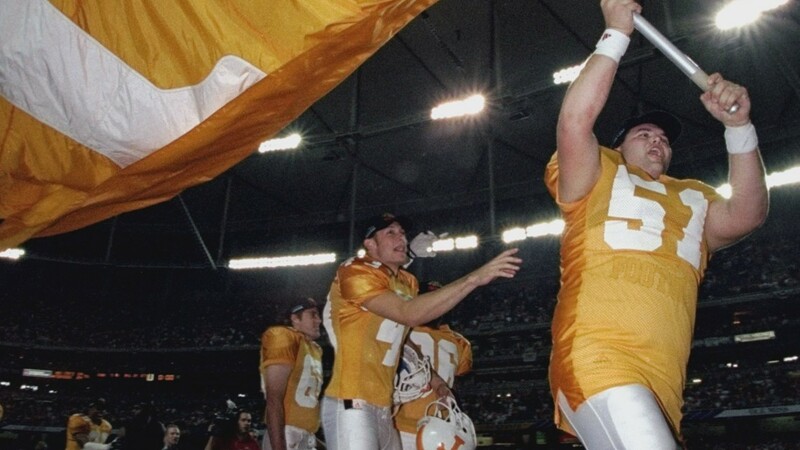 5 Dec 1998: Kevin Gregory #51 of the Tennessse Volunteers marches with a flag during the SEC Championships against the Mississippi State Bulldogs at the Georgia Dome in Athens, Georgia. 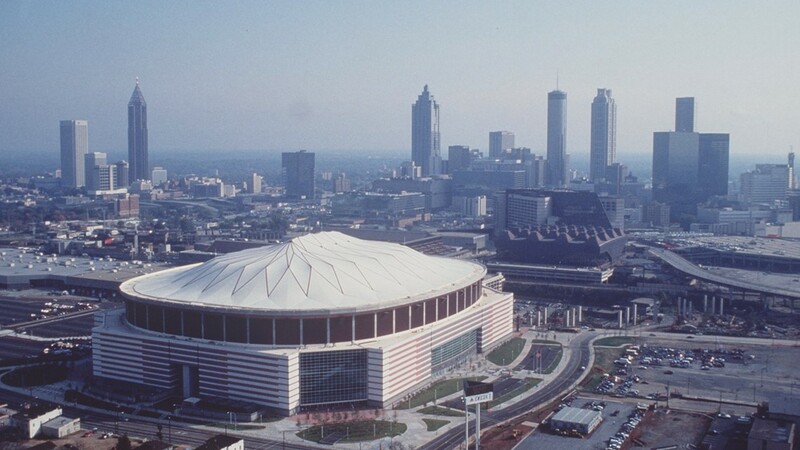 Tennessee defeated Mississippi St. 24-14. 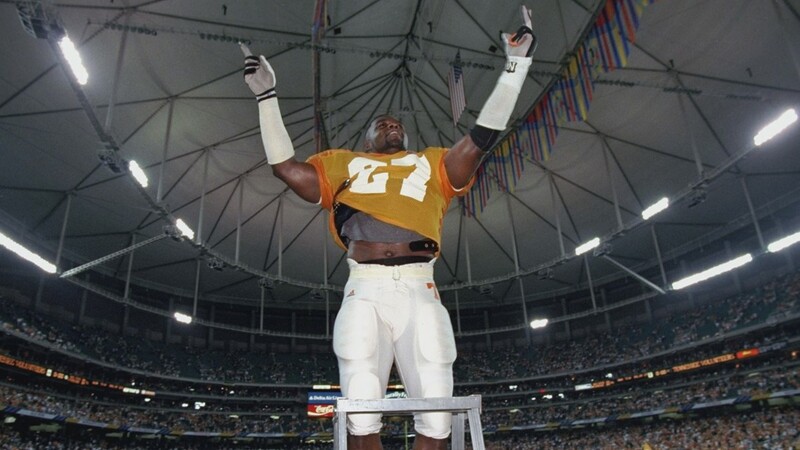 5 Dec 1998: Linebacker Al Wilson #27 of the Tennessse Volunteers stands on a ladder during the SEC Championships against the Mississippi State Bulldogs at the Georgia Dome in Athens, Georgia. 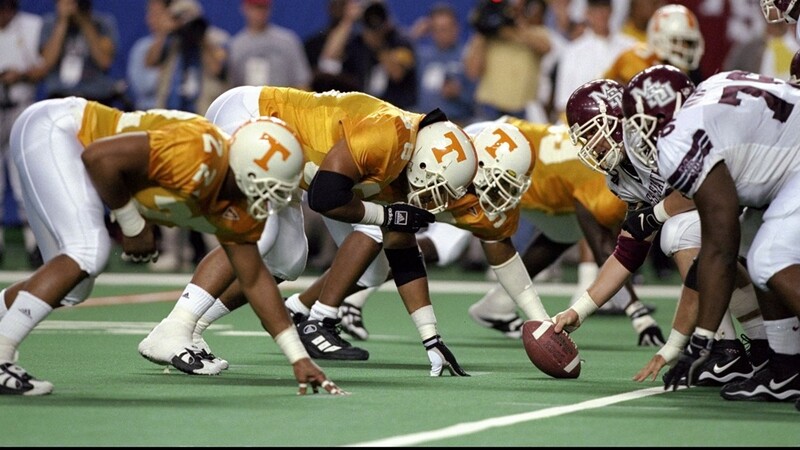 Tennessee defeated Mississippi St. 24-14.